Australian aboriginal art has been around for over 30,000 years. This art form, sacred to Australia’s Aborigines is handed down from generation to generation. It symbolizes their history and tradition, and vary by community or tribe. It reflects the diversity and richness of the culture of Australian Aborigines, their geographic territories, their distinct languages and dialects. Aboriginal art is one of the strongest links that connect their lives to their past and their present, the reality and mythology, and the land and the people. 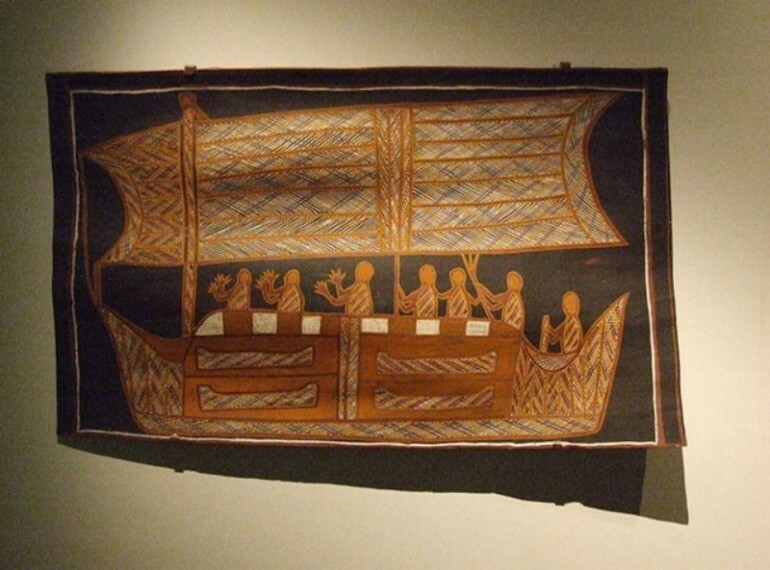 Australian Aboriginal art tells stories – about the tribe, their history and experiences, the influences of the churches and the government in their lives, their struggle for survival and their customary trading patterns. Rock paintings and engravings were the earliest form of Indigenous art in Australia. Most of these have been discovered in caves, rock shelters and boulders. Majority of the figures were related to the beings from Dreaming, which can be interpreted as an individual’s or a tribe’s set of beliefs, and related to Australian Aboriginal animist mythology. These images were considered sacred for the Aborigines because of the ancestral presence that was woven into the paintings. The rock art in Australia are one of the oldest, predating those that were found in the caves of Chauvet and Lascaux in France by 10,000 yearsat least. While Australian Aboriginal art had existed for thousands of years, it was only in the 1970s that Indigenous Australian artists gained recognition outside of Australia. One of the first groups was the Papunya Tula group of artists from the Western Desert. The change in the Aboriginal art world was brought about when a young art school teacher, Geoffrey Bardon arrived at the Papunya settlement in 1971.In the 18 months that he was there, he encouraged them to paint, which led to the painting of a giant mural in the school and the establishment of the Papunya Tula Artists Pty Ltd. 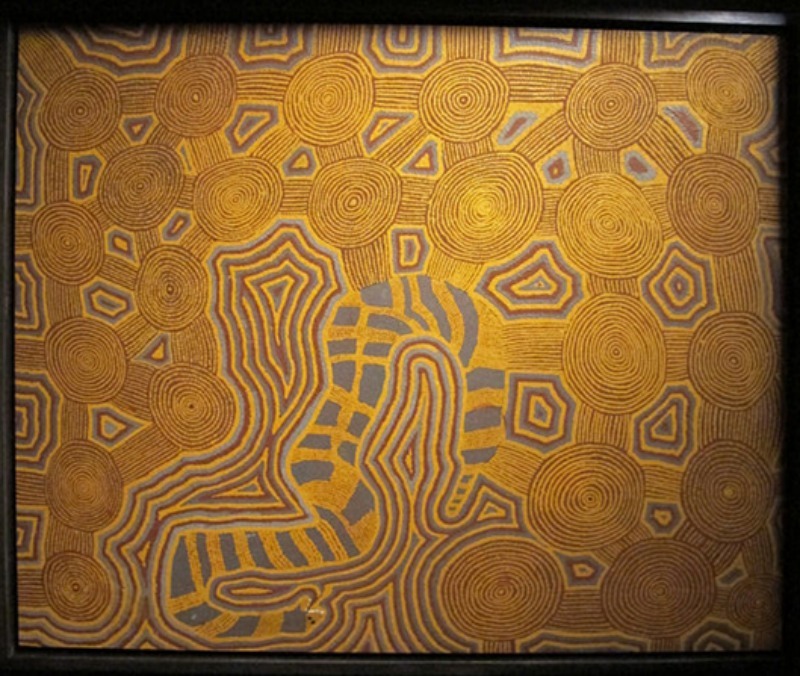 The Aboriginal artworks became the means for the tribes to pass their knowledge about their culture and their country. The sales of their painting provided these most underprivileged of Australians, particularly those in the Queensland, New South Wales, Victoria, and Bass Strait government mission stations. The Aboriginal and Torres Strait Islander art has become internationally accessible and recognized as fine art items, with the Western Desert art movement being the most well-known. Aboriginal Art, continued representation and public recognition may have led to the passing of the bill to recognize the Aboriginal and Torres Strait islander peoples as the first inhabitants of Australia in 2013. Reflecting the regional styles of rock art are three broad modes. In several areas in Victoria, in the Kimberleys, Tasmania and other parts of Central Australia, the common style consisted of dots, animal tracks, arcs, concentric circles and circles. Simple figurative style of engraved or painted silhouettes of animal and human forms were typical of the ancient rock art in Queensland. In Arnhem Land and surrounding areas in the Northern Territory, the common style is what is termed as X-ray art because the internal organs of animals and humans were shown. One of the most interesting among the Aboriginal art is their dot painting, which uses basic colors, such as white for the sky and clouds, red for the desert sand, brown for the soil and yellow for the sun. These, too, depict many stories. While the technique can be likened to Pointillism, a technique used by Vincent Van Gogh, Paul Signac and Georges Seurat and several other artists during the Impressionist era, this is different, as the images created each depict a symbol, which should be taken in the context of the whole art work. Circles can be a spring or waterhole, hill, tree, campfire, or a digging hole. Oftentimes, its meaning is clarified with the color that was used. Blue circles can sometimes mean water. Each one of these painting have a spiritual meaning, making them sacred. Artists have to consult with and get permission from the tribal elders before they can make their paintings because it is about their life and their culture.